﻿ Kurhula Wildlife Lodge Maruleng. JIMAT di Agoda.com! Ada soalan mengenai Kurhula Wildlife Lodge? Jika apa yang anda cari adalah hotel dengan lokasi menyenangkan di Hoedspruit, cuma perlu lihat Kurhula Wildlife Lodge. Terletak hanya 45 km dari pusat bandar, para tetamu berada di lokasi sesuai untuk menikmati tarikan dan aktiviti di sekitar bandar. Dengan lokasi yang mudah, hotel ini memberikan akses mudah ke tempat yang anda perlu lawati di bandar. Menawarkan tetamu hotel perkhidmatan yang unggul dan pelbagai kemudahan, Kurhula Wildlife Lodge komited untuk memastikan penginapan anda berada di tahap seberapa selesa yang mungkin. Untuk keselesaan dan kemudahan tetamu, hotel ini menawarkan Wi-Fi percuma semua bilik, Wi-Fi di tempat awam, tempat letak kereta, khidmat bilik, penjagaan kanak-kanak. Suasana Kurhula Wildlife Lodge terpancar di dalam setiap bilik tetamu. internet wayarles, internet wayarles (percuma), bilik larangan merokok, penyaman udara, panggilan kejut hanyalah sebahagian daripada kemudahan yang boleh didapati di hotel tersebut. Hotel ini menawarkan banyak peluang rekreasi yang unik seperti kolam renang terbuka, taman. Kurhula Wildlife Lodge adalah destinasi sehenti anda bagi penginapan hotel berkualiti di Hoedspruit. Kim and Sander were fabulous hosts and the evening meals were incredible. Kim is extremely attentive to special dietary needs. Sander is fantastic about arranging game drives. Our family was made to feel welcome and all our needs were met. The road to the lodge is daunting without a four wheel drive and we suggest you ask the lodge to organize a shuttle for you if your car is not up to a rugged road with steep and rocky terrain. Arrive before dark. We would definitely come back and we had a wonderful time. Your hosts are extremely knowledgeable about local wildlife and their love of the area shines through. We just want to say that we had a great stay at Kurhula. Getting to Kurhula is a bit of a trek because you have to pass by a very bad road which though it is about 2 km feels like 5 km because of the road condition. So if you have a bad back I wouldnt recommend it. But if you have a good sense of adventure you are in for a treat at the end of the road. It is literally at the end of the road. The sound of the oliphants river and the sounds of of birds and nature is the only thing you can hear. My idea of getting away from it all. But what makes the stay great is that there are only 5 rooms so dinner time is pretty intimate its like having a fun dinner party every night and the owners are your perfect dinner hosts. The dinner is always different and is always a delight. Although this is in a private reserve you wont expect to see the big 5 here you will still have to go to Kruger park which is a long way away about 30mins drive so getting to the gate of Kruger at 630 is not possible. This would be a nice stop over after you have had your fill of Kruger park itself. Staff, location in wildlife reserve, room and setting. My stay was outstanding. This lodge is in a wildlife reserve with meals included. Kim is a great cook and we did a Braai ( bbq). So i came to relax and if so desire go on wildlife safaris.and two places nearby where you can view cheetahs. I was there to relax after 10 days in Kruger. Although solo, I bonded with the other guests. Both Kim and Sander, the owners are superb. Eine perfekte Unterkunft um zu entschleunigen und den Hauch von Afrika zu fühlen, den man in teureren Luxus-Lodges so nicht findet. Ich werde nie mein ganz persönliches Erlebnis mit Rudi, "meinem" Elefanten vergessen! Meine Frau und ich hatten einen wunderschönen Aufenthalt im Kurhula Wildlife Lodge. Dazu haben maßgeblich unsere beiden Gastgeber, Kim und Sander, beigetragen. Wir wurden sehr herzlich empfangen und fühlten uns auf Anhieb sehr wohl und wie zu Hause. Die Bewirtung (Frühstück, Abendessen, Getränke) war exzellent und äußerst vielseitig. 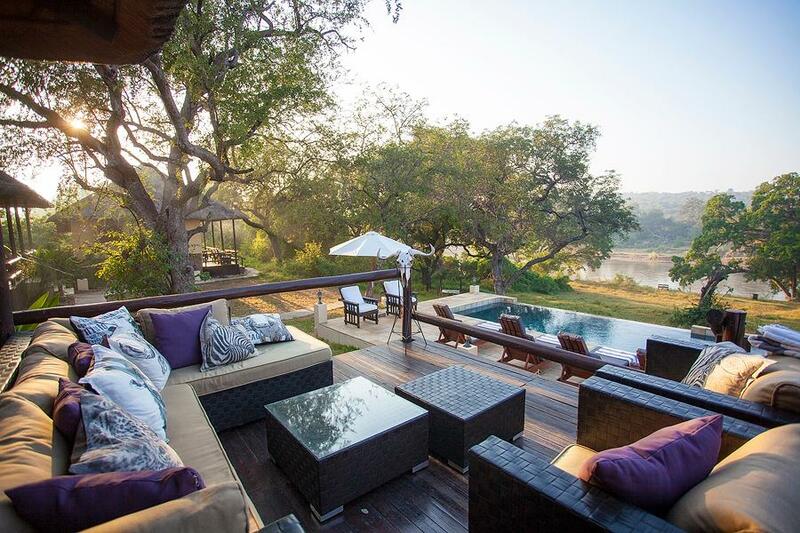 Zur Lage: Das Kurhula Wildlife Lodge befindet sich inmitten des Balule, Parsons Nature Reserve und liegt direkt am Olifants River. Aufgrund seiner einzigartigen Lage ist es Gang und Gäbe, dass man mit der Tierwelt Südafrikas unmittelbar in Berührung kommt. Zudem bietet das Kurhula Wildlife Lodge eine Vielzahl an verschiedenen Aktivitäten (z.B. Game Drives oder Safaris in den Krügerpark) an. Bei unserem nächsten Besuch in Südafrika werden wir definitv wieder bei Kim und Sander vorbeischauen und können daher unsere Gastgaber und ihr Kurhula Wildlife Lodge nur weiterempfehlen :-). Wij hebben het hier super gehad, een mooie en bijzondere omgeving waar je ook van alle gemakken bent voorzien, bij aankomst zagen wij meteen al 5 olifanten in de tuin! Vanuit daar een game drive, boswandeling gedaan en een dag naar Kruger. Allemaal super en aanraders. Sander en Kim hebben ons veel goede tips en informatie gegeven voor het verblijf daar en onze verdere reis! En niet onbelangrijk, het eten was ook fantastisch! Wat ons betreft zeker een aanrader :).